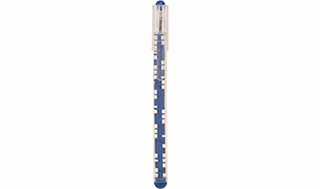 Low cost clear plastic pen with coloured maze contained within the barrel. X-20 Refill. Black Ink.